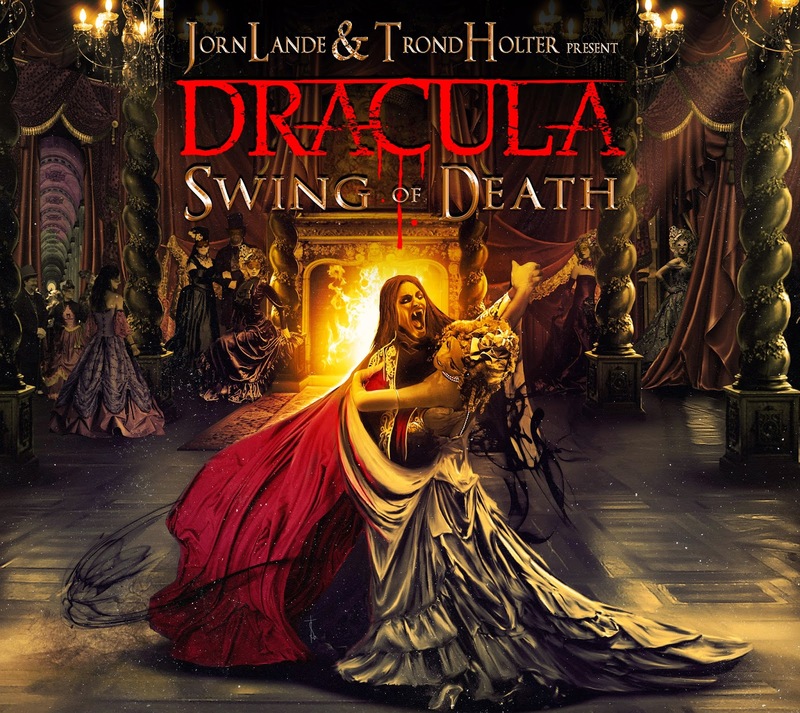 Rock & Metal 4 You: CD-Review: Jorn Lande & Trond Holter present DRACULA - "Swing Of Death"
CD-Review: Jorn Lande & Trond Holter present DRACULA - "Swing Of Death"
While Age Sten Nilsen released his new album "Shanghaied" a few weeks ago, former Wig Wam guitarist Trond Holter comes up with his new DRACULA project in the next few days. It features Jorn Lande on vocals and is supposed to be a Rock Opera concept album about the life of Count Vlad the III - or as we call him: Dracula. The story deals with his inner struggles between love and his curse and it combines facts of the historical person with some elements of the Bram Stoker figure. So, the concept sounds very interesting and Dracula is "played" by none other than Jorn Lande who gives this character much depth with his multifaceted voice. He sounds a bit more theatrical this time and this makes you discover some new sides of his voice, while the vocal range is still impressive. But we have another character here: Norwegian singer Lena Fløitmoen is representing Mina/Lucy from the Bram Stoker book and she did also a great job, although I must say that they used too much voice effects when she is singing. So what can you expect from the music? 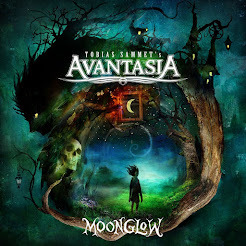 Although this is a Rock Opera it doesn't features too many complex songs like an Avantasia or Ayreon record. "Swing Of Death" is a good mixture between Wig Wam and Jorns solo stuff with some sprinkle of Meat Loaf and Queen in it. The songwriting abilities of Trond Holter are written all over this record and we already know his great riffing and wicked guitar licks from the Wig Wam records and so you'll hear them on "Swing Of Death" too. The songmaterial can be split in two different parts: on the one hand you have these very, very catchy and radiofriendly tunes that sound pretty much like Wig Wam and on the other hand you have the more darker, more agressive songs that are more atmospheric like the stuff Jorn Lande is doing for years now. Personally I like those catchy tunes much more but the overall impression is very good. The album starts with the weakest track, called "Hands Of Your God". This is the only average song on this record because it simply can't pull me right in. Therefore some great hooks are missing, so not the best way to start an album, but luckily much bigger things lie ahead. "Walking On Water" is a monster of a song with a huge epic chorus and fantastic guitarplay. This one blew my mind. It's heavy but also very melodic. Excellent! Things are getting better and better, because the next song in line is the title track "Swing Of Death" that is the most theatrical song on the record and has lots of hitpotential at the same time. If you close your eyes you might think you are sitting in a Musical and then you have a bombastic chorus - one of the best choruses I've heard in the last months! "Masquerade Ball" is one of those darker "Jorn-tunes" and like I said those tracks shine with their atmosphere and not with their hooks but it's necessary to have this contrast to illuminate the dark side of the story. Next song in line is "Save Me" that is supposed to be a duet between Jorn and Lena and this is another tune with airplay potential and a chorus you won't forget, which explodes in a big finale! Same goes to the very melodic "River Of Tears" that has written the words "Wig Wam" all over it. And I mean this is no wonder, as far as I know this Dracula record should have been a Wig Wam project some years ago. According to Age Sten Nilsens statement this project was seven years in the making. Next song "Queen Of The Dead" is the most heavy track on this album where Jorn can show his impressive vocal range once more. A track that growes on you with each new listen. With "Into The Dark" another over-the-top-hit follows, great guitar licks, amazing melody, top notch performances - what else can you ask for? This gem is followed by an instrumental track which is also very solid stuff that makes you move. The album closes with "Under The Gun" that features once more some terrific melodies in the verses, while the chorus is a little grower to me. From the production point of view there is also nothing to complain about. It has enough punch and sounds huge. Don't expect much orchestration here. This is a straight-forward Melodic Metal album in the first place and a very good one. 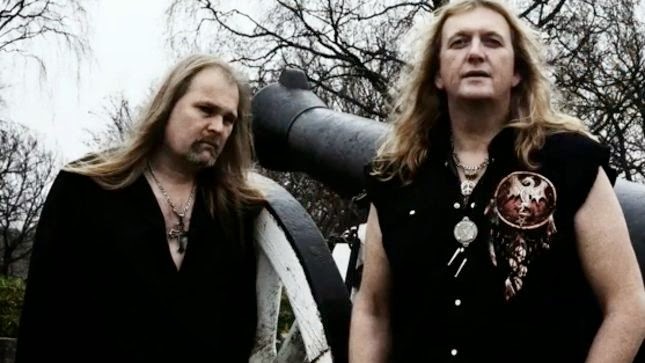 "Swing Of Death" is the first positive surprise in 2015 where Jorn Lande and Trond Holter present themselves in perfect shape. Everyone who likes Rock Operas should buy this one immediately as well as every Hard Rocker and Melodic Metal fan in general should do it. I can't wait for a return of the prince of darkness! Fantastic album, just fantastic! And for me "Hands of your god" is a killer song! Not usual to open a album with a song like this, but belongs to the story. A killer song!